Okay, more construction photos! 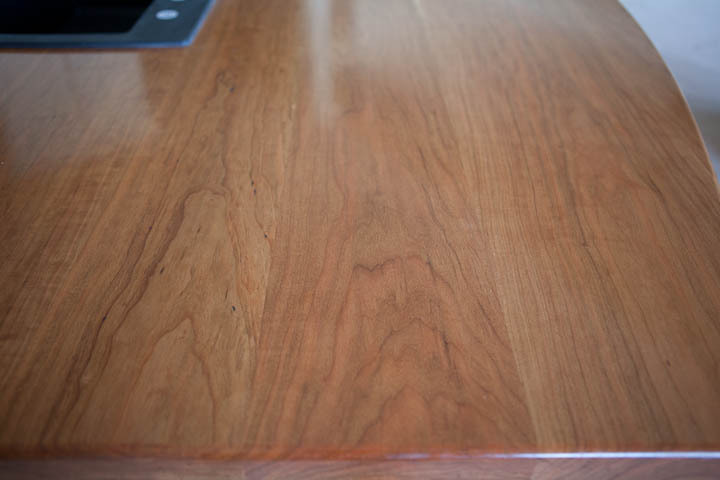 The cherry countertop we had made for the kitchen island is finished. Isn’t the wood pretty? Actually, it was finished last week during the wedding craziness…so we had to make a quick run over to Columbia to deliver it. So, of course, to make it more complicated, SuperGuy rented a uhaul and brought over all his wood working equipment too. Because it appears we’re unable to ever do things the easy way. 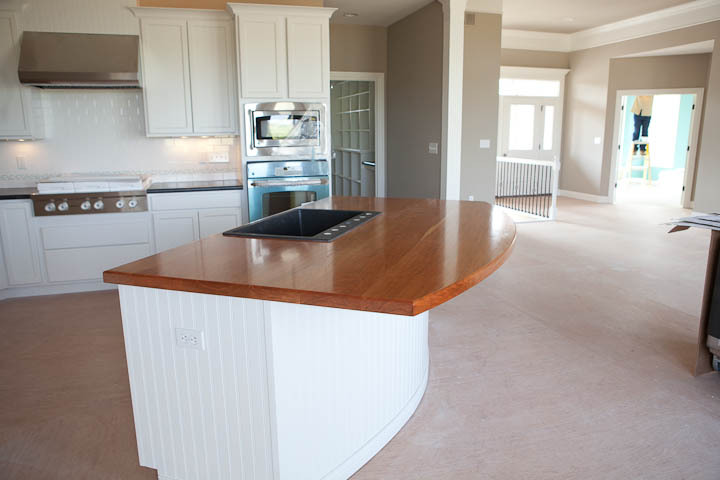 Longer story…SuperGuy was going to make this countertop, ’cause, you know–he loves doing wood working. Picked out the wood. The wood guy dried the wood in his kiln and by the time it was dry, it was too late for SuperGuy to have time to make it. So, we had it made by the wood guy. SuperGuy was pretty disappointed that he didn’t get to make it. SuperGuy will have to put another few coats of finish on it, but it looks so great! Next post will be all about the chandeliers!!! So excited!! 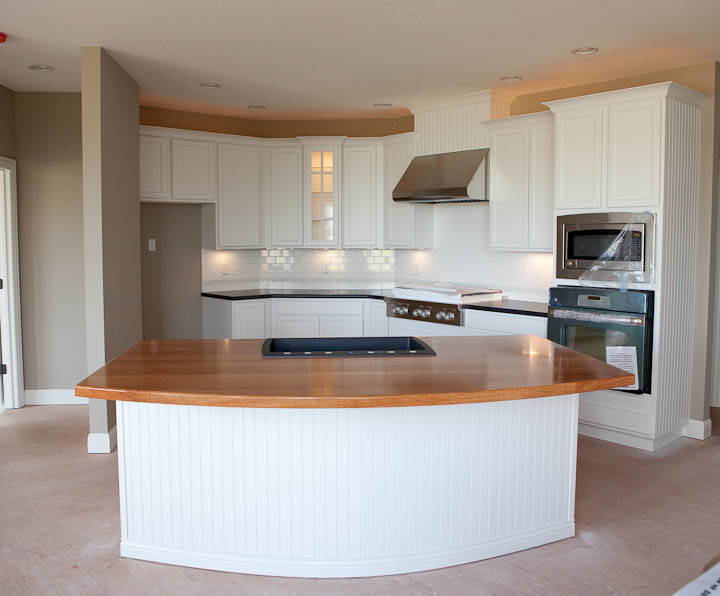 I love watching as your plans come to fruition and that side view of the cherry countertop blew me away. Absolutely stunning. And hey, is that a lighted corner cabinet in your kitchen? Very cool.